Safety and Convenience. Not Safety or Convenience. 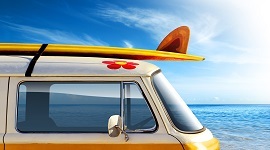 At Apex Auto Glass, safety is of utmost importance. However, we also understand that in this hectic day and age customers are anxious to get back on the road. That's why we go above and beyond to make it convenient to get the job done correctly in the shortest Safe Drive Away Time possible. Safe Drive Away Time is the amount of time a customer must wait before the adhesive is fully set and the vehicle is safe to drive. Listed below are three very important reasons that your auto glass in Fairfax HAS to be installed perfectly... the first time! 1. 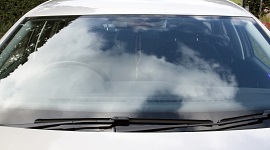 Your windshield prevents you from being ejected during an accident. The safest place to be during a car accident is in the car. Your windshield is an important barrier that keeps you in the car. If you don't replace your windshield a cracked windshield (or a poorly installed windshield) can fail during a collision or roll over, allowing you or your passenger to be ejected. A passenger ejected from a car or truck is much more likely to experience a serious injury or death. Cracked windshields expose the laminate that joins the layers of glass in the windshield, resulting in delamination. It is this delamination that results in a dangerous reduction in the structural integrity of a vehicle. 2. Your windshield is a "backstop" for your passenger side air bags. In nearly all new vehicles equipped with airbags, the passenger side airbag deploys upward and bounces off the windshield glass to protect the passenger in a crash. When the airbag deploys, it does so at 150 - 200 miles per hour. Needless to say, a cracked windshield lacks the structural integrity necessary to absorb the force of a deployed airbag; with the result that passengers may be ejected and injured or killed if the airbag deployment is deformed by the windshield's failure. In addition, an improper windshield replacement that fails will subject a vehicle's occupants to the same risk of airbag failure as a cracked windshield. 3. Your windshield supports the roof. An automobile's windshield is designed to prevent the roof from crushing you in a roll over accident. It's important to promptly replace your windshield because a cracked windshield will not meet any of the ANSI windshield performance and safety standards. 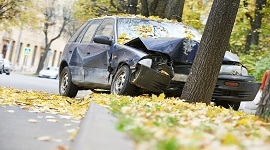 Industry experts have estimated that windshields provide up to 70% of the structural integrity in a rollover accident. 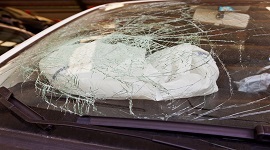 A cracked windshield may fail to support the roof if the car flips over, causing severe injury or death to occupants. For more information on auto glass in Fairfax, or for an auto glass quote, Fairfax VA residents contact us today. Copyrights © 2015 APEXAUTOGLASS. All rights reserved.